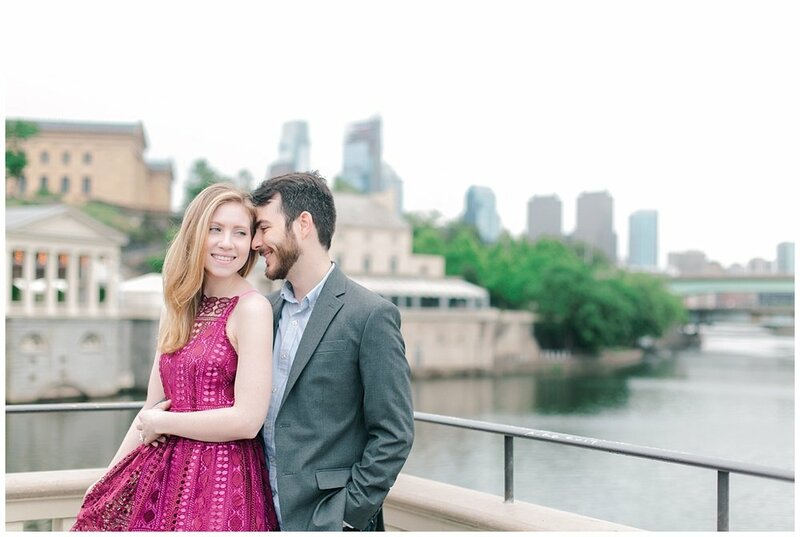 We're deep into fall here in the Northeast, but today's Philadelphia engagement session is the sweetest reminder of warm spring days and everlasting love. Celia Ragonese was there to capture every last detail of Rachael and Scott's session, and these two were certainly a bright light on a cloudy day. From Rachael's stunning bright dress to the European-inspired backdrop of the Rodin Museum of Art, these photos capture the pure joy of a couple madly in love. 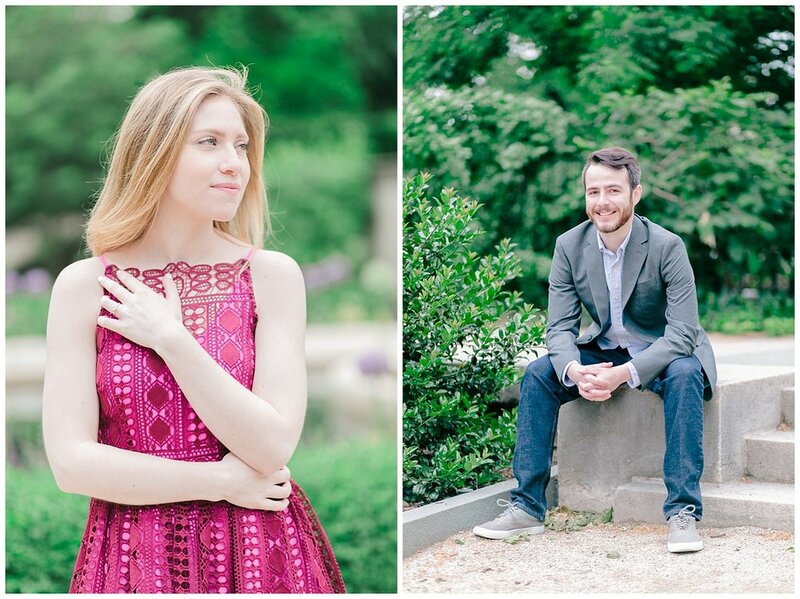 From Celia: How much fun did I have during this engagement shoot? Way too much fun! I seriously adore Rachael and Scott because they put so much thoughtfulness into their session and, despite the rainy start, they truly shined. 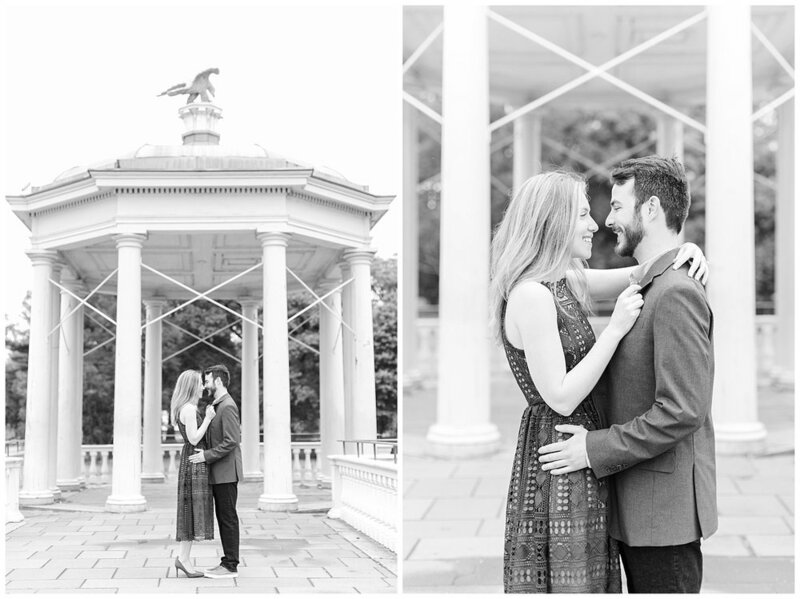 Rachael and Scott met in high school only to have the strings of fate bring them together a few years later when he was at Drexel University and she was at Temple University. Their ephemeral first impressions in high school gave way to a meaningful friendship, and Rachael and Scott would soon find that it was just the beginning of their journey together…Fast forward a few years and 3,000 miles to San Francisco where Scott would ask Rachael for her hand in marriage as he would give her his heart to have forever! Taking a cue from their travel wishlist to go to Europe and from their engagement story, we found the most European-inspired and San Francisco-esque spots in Philadelphia to tell their story. Much appreciation to this sweet couple who made their cloudy engagement session so bright and romantic!